Seeing UMass opens camp Saturday, savor again the Minutemen's win over Appalachian State. BYU was our first win over a "name" team, but the Mountaineers were a much better team. They ended up 9-4 and blew out 11-3 Toledo in the Dollar general Bowl. Appalachian's only other losses in 2017 were to Georgia, Wake Forest and ULM. FBS Schedules has a post on UMass announcing our start times. The Daily Stampede has a story on USF announcing the start time with UMass. Four Athlon Sports writers pick BYU over UMass. Duquesne football seeks consistency in 2018. Boston College unveils their new $52.6 million practice facility. The Boston Herald says the new facility puts the Eagles on par with other ACC teams. John Fish,for whom the new BC 56.2 million Indoor Practice Center is named, is head of Suffolk Construction Company which built the Mullins Center.Suffolk has been paid a lot of state money in the past,where is their loyalty to UMass in their hour of need for an IPF? Wake up UMass start canvassing the business community and stop crying poor.It may require a little sweat. For the record John Fish is a Bowdoin college grad and is the first non alumnus to be chosen as head of the Boston College Trustees.BC chooses wisely. Not to mention all the Tom Yawkey fund money that Harrington steered over to BC. Simply put this makes good business sense for Fish to be associated with BC given all its networking opportunities for potential new business in Boston. Doesn’t make a lot of sense for him to give back to a state entity that is 2 hours away and doesn’t give a lot of new prospects to him. And for any future building opportunities at UMass he’ll most likely win those bids based on his in place relationships and credible reputation and past work. Only UMass Alumni by and large care about and support our flagship school unlike other big state schools with longtime FBS success. I would love to see the Robert Kraft Fieldhouse some day but again why would Bob do that? We are more likely to see the John Legere Fieldhouse but I am not holding my breath on that either. President Meehan knows just about everyone of note ,thank to his political career representing Massachusetts.He really needs to get heavily involved in an endeavor to open corporate doors for Bamford and others.These significant companies and their CEOs need to be made aware that they owe the state,and specifically UMass flagship,the likely source of so many well trained future employees.Unless this happens,UMass willcontinue to be ignored by the big shots who save their gifts for the private colleges. And so it goes, UMass vs the State of Massachusetts. Suffolk got to build Mullins because of Calipari and a #1 ranking. Wins will change everything. Mr B. Kraft and Mr J. Welch please step up and help. Your state of Massachusetts is calling you and needs you!!! Mullins was in the works well before Calipari.He simply took best advantage of it.How well do you think UMass will fare against BC recruiting in the future when they are presently turned down by every football recruit that they both covet. No,this is much more than future wins,and even if it were,those wins will come hard.Even recruiting against the Ivy league is tough around here due to the academic stature of the league.UMass needs a groundswell of corporate support and something better than total denial by the state politicians. They really need a decent new practice facility among other projects. Funny how the Globe thinks this extravagant new BC field house is a great new addition to make BC more competitive in the ACC. Imagine how outraged the Globe would be if UMass were building it-even if the funds were all contributed. That's a good point, and ironically (and sadly) true. But we will have the ersatz bubble soon, and that's a very good start. We can compete with BC academically to get recruits, but BC is unlikely to be able to offer promises of immediate playing time, as we can, to attract high(er) profile recruits. Mullins like a lot of buildings were "in the works" before Calipari. I am convinced without his success it would have never been built. 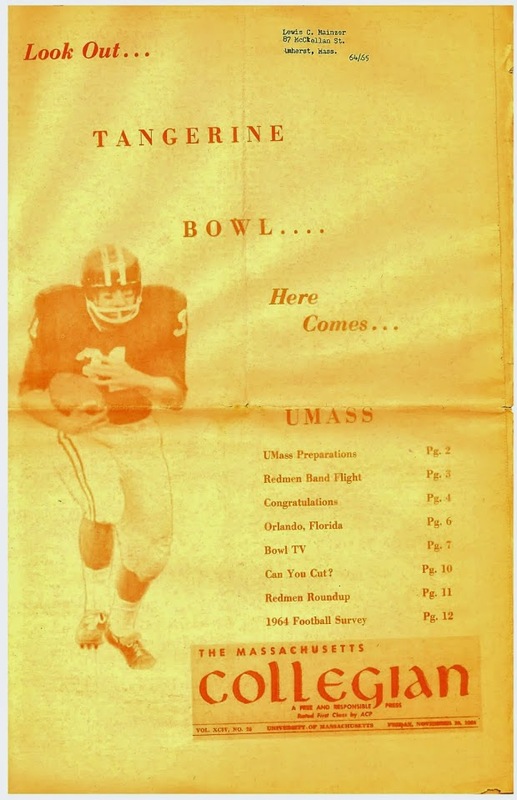 He drew thousands at games, the Cage could not manage it and the UMass community demanded that a new building go up. Look around the campus today and notice the immense growth that has occurred over the last ten years. That's because UMass is now a major player in STEM. Wins will change everything! The Mullins center was already under construction when I arrived on campus in Fall of 1991. That was the beginning of Cal’s fourth year and the team hadn’t made it to the NCAA tournament yet. I think the winning 30 games a sweet 16 appearance may have gotten it built half a season early, since it opened during the middle of the 92-93 season. Usually new arenas are opened at the beginning of seasons. In Massachusetts buildings are opened months after they are supposed to be,hence it opened in February. In the private sector they often open ahead of schedule, see MGM in Springfield. Politics played the biggest role in impeding the start of the construction .Trust me.You can look it up.